This is one of those ‘go-to’ recipes you can use whenever you need a simple but impressive dessert. It’s also gluten free and freezes well. I love the subtle aniseed-y taste of the star anise with the bitter, fudgy chocolate. It's not too sweet but it is rich, so a thin slice with any tart fruit, and cream to serve is perfect. You could substitute the star anise for other flavours if you like – fresh orange zest, cinnamon or earl grey tea would be delicious. The first thing to do is boil the kettle and steep your star anise in 30ml of boiling water. Leave it to infuse while you get the rest of your ingredients ready. Preheat your oven to 160 Celsius. Grease a medium sized, loose bottomed tin and line the base with baking paper. I actually took the time trace around the tin and cut a perfect baking paper circle, which I appreciated later on. 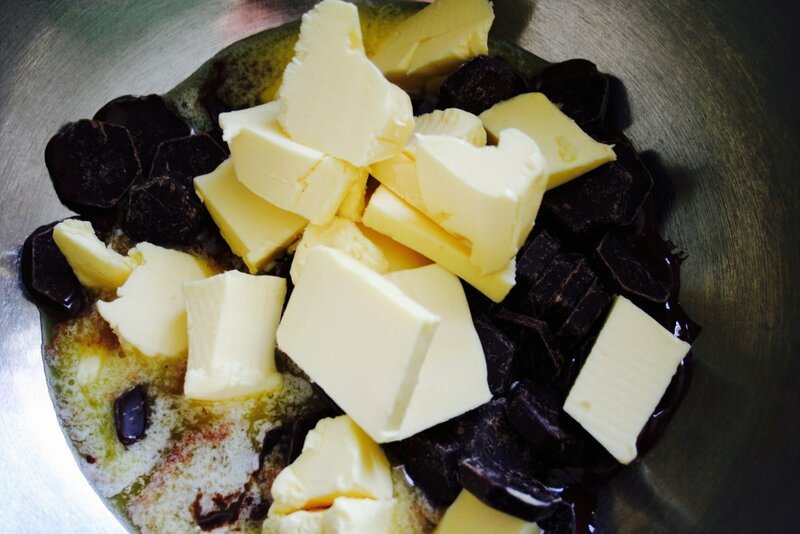 Next, melt your chocolate and butter in a heat proof bowl over a pot of simmering water. Make sure the bowl isn’t touching the water or the chocolate may seize up. Once the chocolate and butter look almost melted, take it off the heat and whisk until smooth. Whisk the star anise water into the chocolate mixture then set aside to cool. 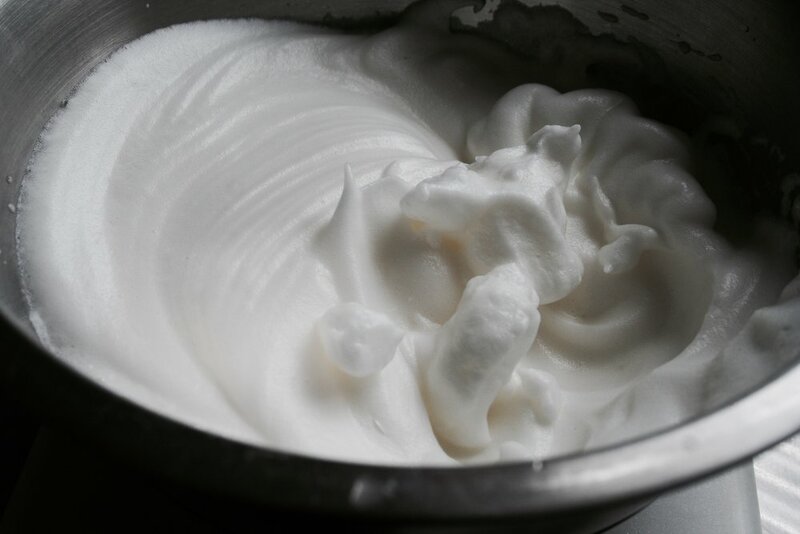 Next beat the egg yolks with sugar until they’re really light and fluffy – give it a good 5 minutes in an electric mixer. Take out the two star anise from the chocolate and discard, then fold the egg mix into the cooled chocolate. Then, gently fold through the almond meal. Finally, beat the egg whites in a clean stainless steel bowl until they form firm peaks and carefully fold through the chocolate mixture. 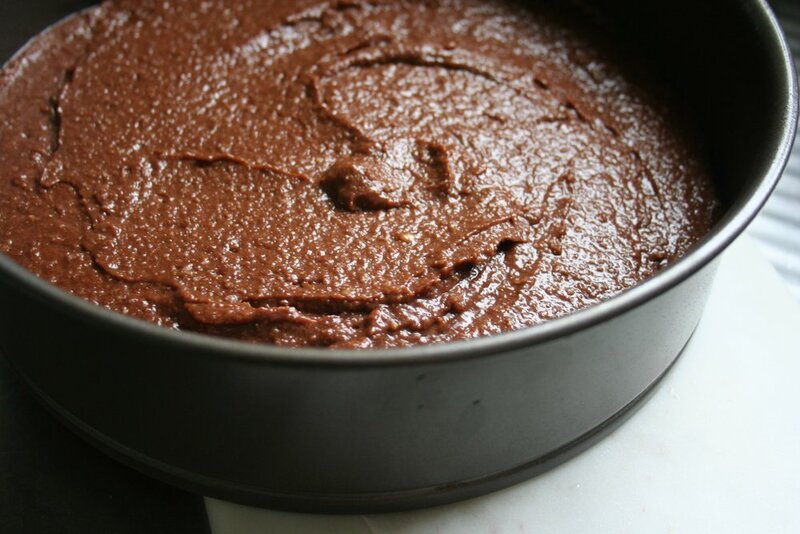 Pour batter into your tin and cook for 25-30 minutes until the cake is just cooked through to the middle. This should be a gooey, dense torte, so don't overcook it or the edges will be dry and crumbly. Leave the cake to cool completely in the tin. The top of the cake forms a kind of crust (which is normal), so I decided to flip my cake over and use the smoother base as the top. It's up to you which you prefer, but either way, once it’s cooled and out of the tin, use a small sieve or tea strainer to dust the cake with a thin layer of cocoa powder. To serve, spoon a pile of crème fraiche and the seeds of half a pomegranate on top. Berries would also be delicious to serve with the torte. This cake will store well in the fridge for 3-4 days, just make sure it's well wrapped in cling film. It will also freeze well – again just make sure you wrap it well and bring it to room temperature for serving.